The team at Specsavers in Melksham has raised more than £1,000 for Dorothy House Hospice by taking part in a charity walk and holding a bake sale in store. 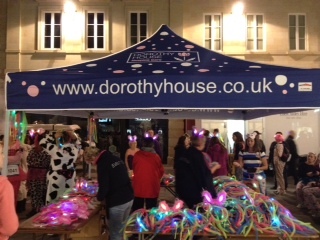 Julie Burrage, store manager completed the 8k Bath Midnight Walk on Saturday 13 September in her pj’s. Meanwhile, the rest of the team continued the nocturnal theme on Wednesday (17) by wearing their pyjamas to work and raising additional funds for the charity by selling home-made cakes in return for donations.